Imperfections in your teeth shouldn’t keep you smiling or laughing at a funny story. The Paso Robles dental office of William Huiras provides high quality cosmetic dental treatments. Our dentist is committed to helping you achieve a smile you can be proud of, and our entire team is dedicated to making your cosmetic procedure fast, convenient, and comfortable. Tooth-Colored Composite Resin Fillings - When treating cavities, we use composite resin for the health and aesthetics of your smile. Teeth Whitening – We provide a highly-effective, professional take-home trays whitening system that provides excellent results in one week. With this premium whitening system, you can brighten your smile several shades. 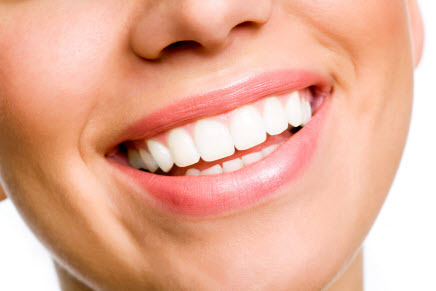 Porcelain Veneers – Our Paso Robles cosmetic dentist uses only the finest quality material for veneers to best mimic both the natural translucence and opacity of healthy teeth. Veneers can transform a damaged smile into a stunning smile within two weeks. Dr. Huiras is very particular when placing prosthetics so you can be sure that your veneers will be precisely shaped to match your natural teeth and placed properly and securely. Direct Bonding – Dr. Huiras offers this more economical alternative to veneers to conceal small cracks or chips in teeth. Rather than thin shells of porcelain, in this treatment composite resin designed to replicate the color and shine of natural teeth is layered directly onto teeth and hardened with a special light. Crowns – We are just as particular with our crowns as we are with our veneers. After obtaining a custom impression of your teeth, we work with our trusted lab to create a natural-looking replacement for a tooth that is damaged due to injury or decay. We also offer implant restorations for patients who are missing one or more teeth. Call us today to Learn More about Cosmetic Dentistry in Paso Robles! Contact us for a consultation if you have questions about how cosmetic dentistry services can help you regain a confident smile. Our Paso Robles practice is committed to meeting your cosmetic dentistry needs on all levels to provide stunning results for our patients.